The authors of this textbook attempt to cover the basic concepts of fracture mechanics for both the linear elastic and elastic-plastic regimes. 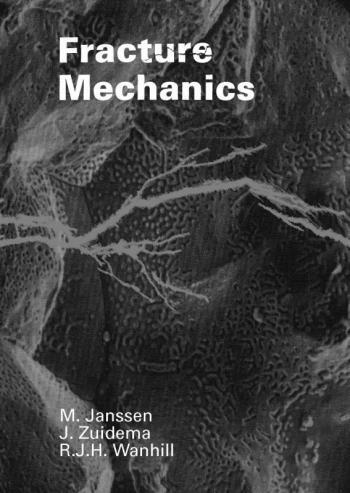 Three chapters are devoted to the fracture mechanics characterisation of crack growth (fatigue crack growth, sustained load fracture and dynamic crack growth). There are also two chapters dealing with mechanisms of fracture and the ways in which actual material behaviour influences the fracture mechanics characterisation of crack growth. The reader will find that this last topic is treated to some way beyond that of a basic course. This second edition is the result of numerous revisions, updates and additions. These were driven by the ongoing development of fracture mechanics, but also by teaching the fracture mechanics course at Delft University of Technology. The fracture mechanics parameters K, G and J are now treated in a more basic manner. Test methods for JIc and for crack arrest toughness are updated. The development of failure assessment based on elastic-plastic fracture mechanics is reflected in a comprehensive treatment. On the subject of subcritical crack growth more attention has been paid to the important topic of the initiation and growth of short fatigue cracks. This textbook is intended primarily for engineering students. We hope it will be useful to practising engineers as well, since it provides the background to several new design methods, criteria for material selection and guidelines for acceptance of weld defects.